These days I'm the sort of girl who lives in jeans and dresses it up and down where necessary. I've not ventured into new dresses or skirts very much, simply because I'm not very fond of what's in right now. That said, I finally found some new pieces you'll be spotting in the next few days from a cool brand called Tobi. 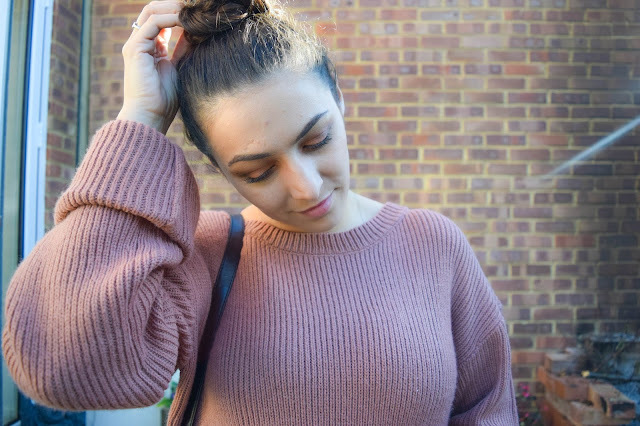 They were super lovely and sent me 3 gorgeous new dresses, one of them being this thick, cosy, terracotta jumper dress that I might be living in a lot this autumn/winter. 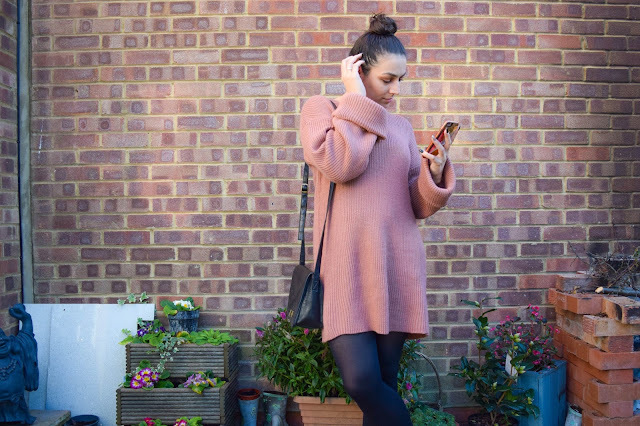 This dress is one of the comfiest and effortless dresses in my wardrobe right now. I wore it yesterday travelling back home from Norfolk and I've never felt so warm and cosy on a long drive. 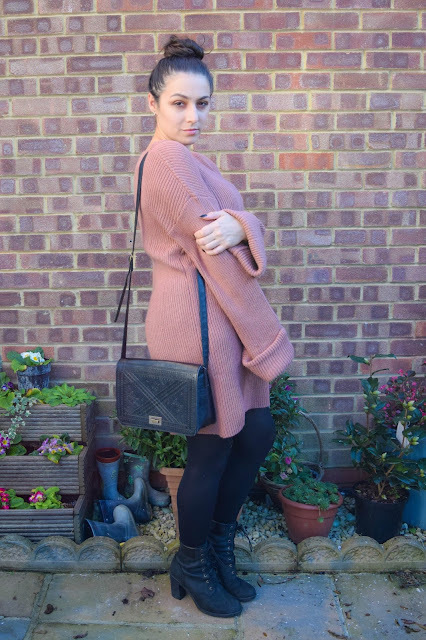 The dress is a thick knitted jumper dress with super long sleeves and a perfect length meaning I'm not worrying about pulling it down every 5 minutes and it isn't oddly long either. I got this dress in a medium but upon my first impressions I might have been able to get away with a small. My other first impression about this dress were that the sleeves were REALLY long. I rolled them up twice so that the sleeve sat still long but at a practical length too. The only problem I encountered was that the sleeves kept rolling back down. I ended up having to give it a couple of stitches around each sleeve to ensure it wasn't going to fall down again. It's quite a heavy knit so it was only expected really. I didn't mind this and now I know I'm happy with the length I'm going to stitch it properly the whole way around to keep it secured. At first, I didn't know how I could style this dress. I blanked when thinking of style ideas. 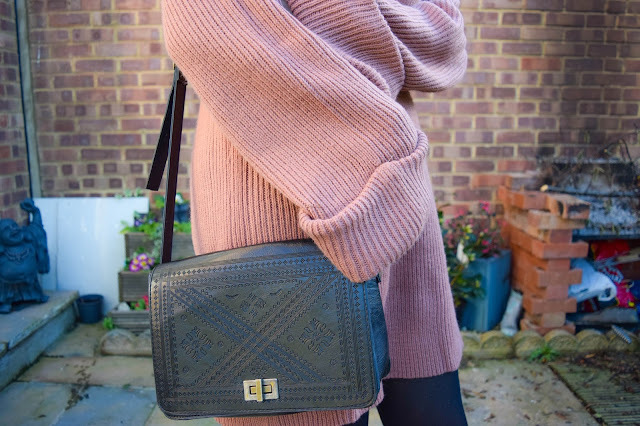 It wasn't until a shopping trip I started to become inspired and realised I probably need a pair of cool over the knee boots to wear with this for the ultimate jumper dress look! I'm still finding the perfect pair since my last ones are worn out so for now I styled it with classic black pieces. 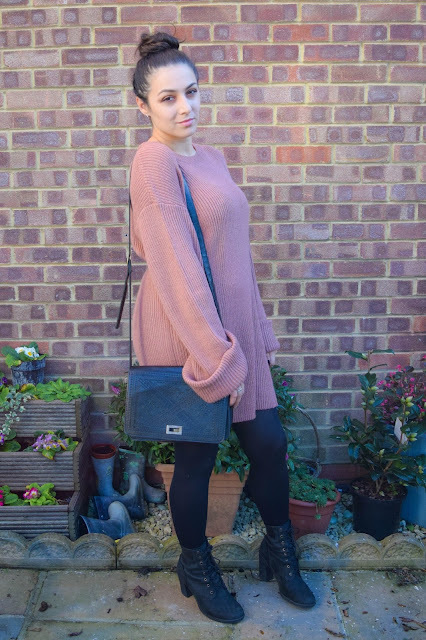 Black tights, boots and my favourite small bag. 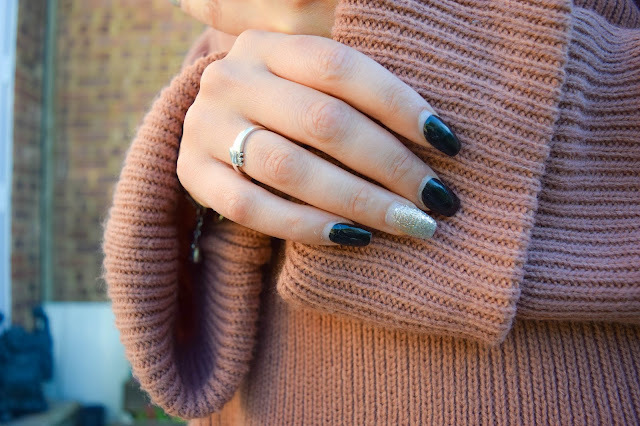 I could have worn jewellery with this look too but I like the simple cosy feel it has without jewellery. It's a fantastic colour for autumn/winter this year and is quite versatile too. After being inspired by how I could wear this, I can imagine so many ways to style and layer this up. 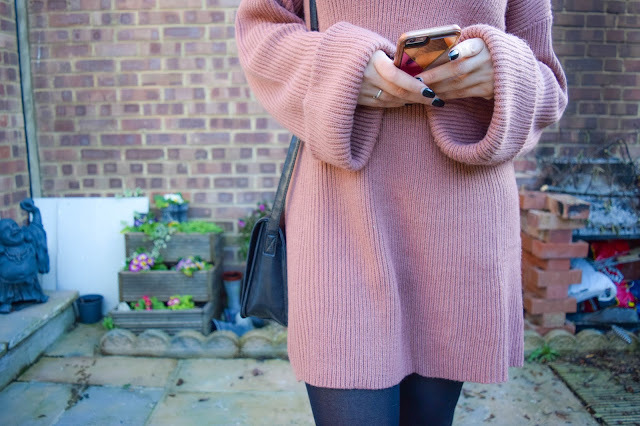 I absolutely adore this jumper dress and can't wait to wear it throughout the autumn and winter. Let me know in the comments how you might style this dress!